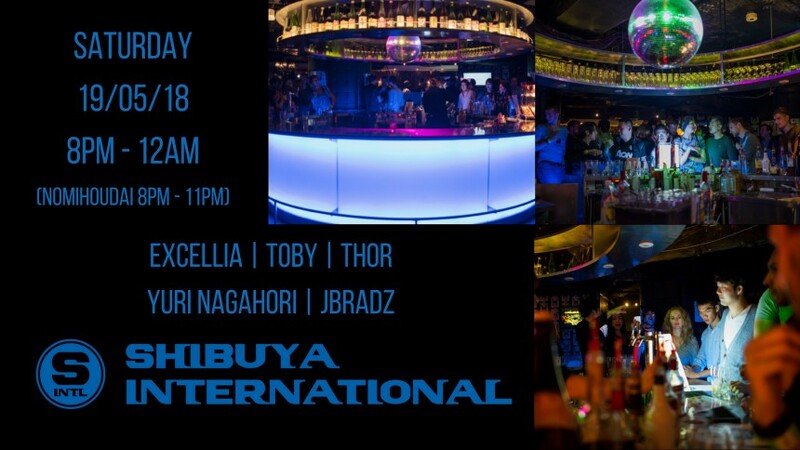 Another round of Shibuya International Party featuring DJs Yuri Nagahori, jbradz, Excellia, Thor, and Toby. • A gracious Nomihoudai (All-You-Can-Drink) deal that includes Beer, Wine, Shochu, Sake, Whiskey, Liqueur, Soft Drinks and Cocktails, etc. in big sized cups with little to no waiting time! • An assortment of finger food of unique tapas that are hard to find anywhere else! • Keep an open or closed bar tab to drink as much you can or save a few extra dollars! • Some of the greatest DJs and track selectors from Japan and overseas to perfect the atmosphere for meeting some cool new people! Vibes all around!